Move Me Productions runt een heel gamma aan (kort)film festivals, zowel online als met live screening. Met de festivals beloont Move Me Productions de winnaars met een prachtige trofee, een certificaat van winnaar en een laurel voor promotie. Move Me Productions publiceert NOOIT jouw (kort)film online. Move Me Productions runs a series of (short) film festivals, both online as with live screening. 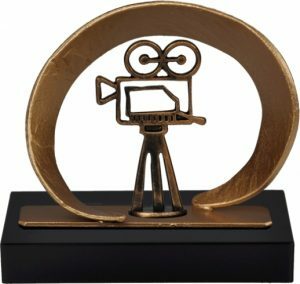 The winners of the festival receive a beautiful trophy, a certificate of winning and a laurel for promotional means. Move Me Productions NEVER publishes your (short) movie online.